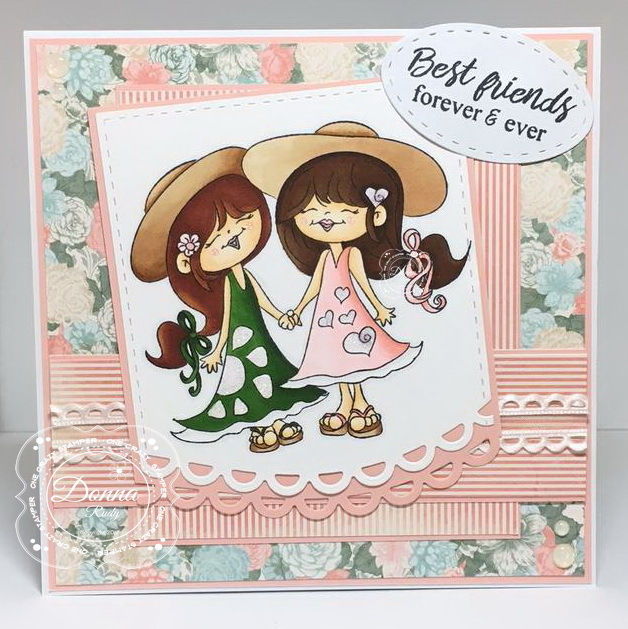 Welcome to the new "Darling Divas" release from High Hopes Rubber Stamps! This release is 10 fun Diva images from walking the dog to having a bubble bath with a glass of wine - be sure to pop by the OCS website to see them all. 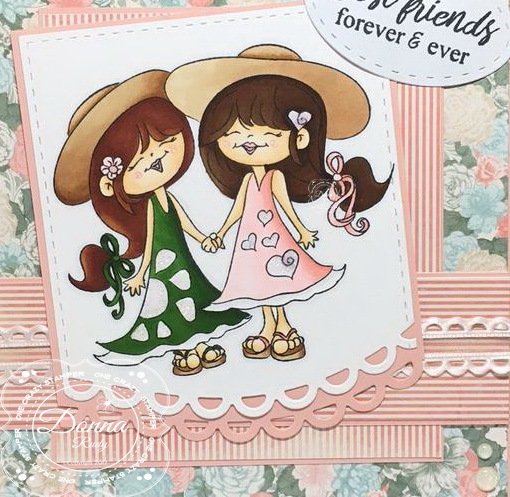 My new release card features "Girlfriends". My bestie has red hair, and all though it isn't this dark red in real life I coloured this image with my bestie and I in mind. We have been friends since grade school and always! have way too much fun together. After colouring my stamp with alcohol markers I cut it out using a stitched rectangle die and then a curved scallop edge just for fun. The layout is based on this month's challenge sketch (below). White Blizzard Nuvo glitter drops were added to the flower and hearts, sorry, it's kind of hard to see in the photo. The sentiment was stamped and cut out with a stitched oval die. Some ribbon and glittery gumdrops finish off my card. A new month also means a new challenge. This month is Anything Goes so grab your stamps and show us your creations. Here's the link. 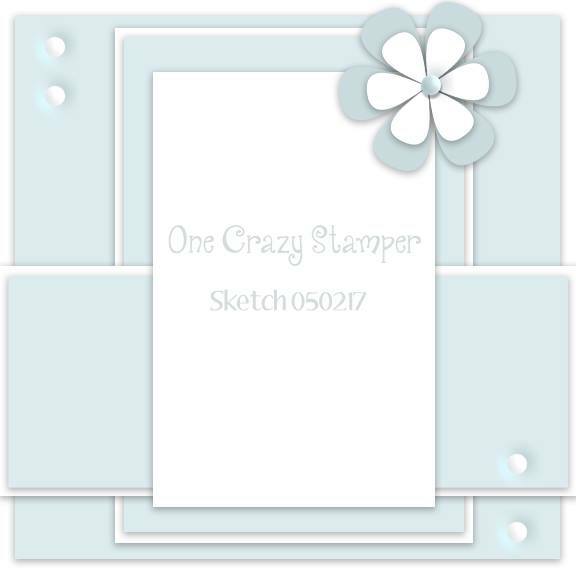 We also have an optional sketch for you to use if you like. Seriously the cutest pair of friends ever! You're lucky to have a friend from grade school still! Love everything about this pretty card!! Super cute, great coloring and the paper is awesome too, love this card! Friends are so important...far and close, Cool! What a happy pair of friends. Love the colours Donna! An awesome card.